Drainage products for bathrooms driveways, gardens, thresholds, balconies and other areas around the building line. QuARTz by ACO bathroom drainage solutions inspires creative bathroom planning. The selection of channels and floor wastes allow for the use or elimination of physical barriers within the bathroom floor and can be incorporated into a wide range of designs. 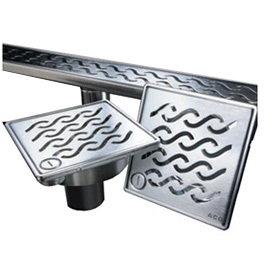 To learn more about ACO’s high quality bathroom drain channels and floor wastes, visit QuARTz by ACO. ACO offers a range of DIY trench and grated pit drainage products, ideal for homes, gardens and landscaped areas. 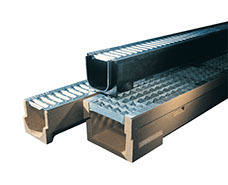 Trench drains are available in a choice of plastic and polymer concrete. 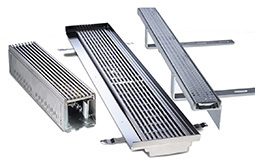 Also available exclusively, Heelsafe®, ACO’s heel friendly grates for residential areas. To learn more about ACO’s trench and grated pit drainage products, visit ACO Self®.